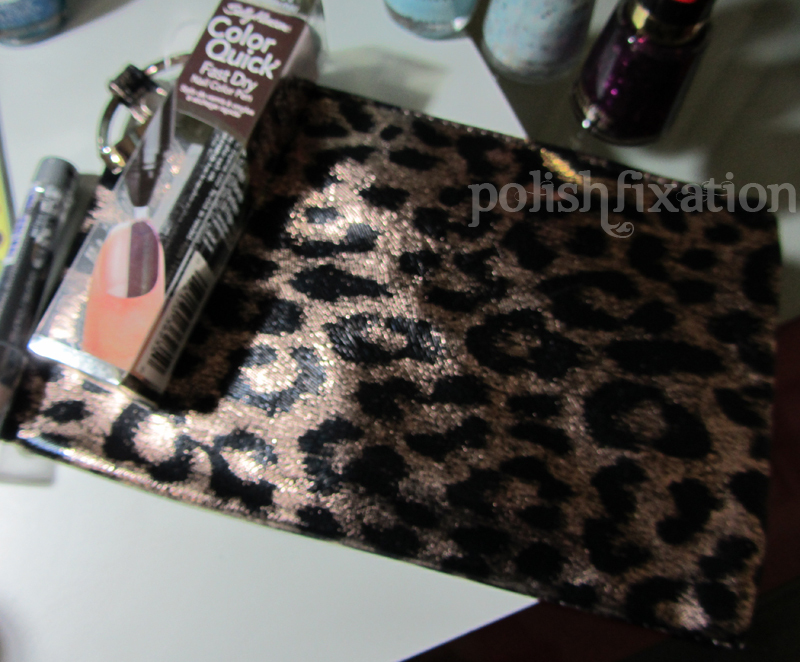 polish fixation: 750 Follower Giveaway!!!! Hey guys! I am so happy to be sharing the news with you that I have recently passed the 750 follower mark! I appreciate you all so much, you have no idea! You make blogging worthwhile by staying with me day after day and all your wonderful comments! This is a prize package that contains over 20 beauty related items. To enter, you just have to follow the instructions in the Rafflecopter widget below! sorry, didn't catch the full 'comment' request: I"m most excited about Sinful Colors Cinderella and the Revlon polishes!!! I AGREE! I ADORE THAT STUFF! Love EOS lip balms and all the nail polishes look awesome! I want to win any of the EOS prizes especially the lip balm. I'm most excited for Revlon Whimsical, the EOS hand lotion and the Sally Hansen Nail Art Pens. Awesome prize loot! It seems you haven't added "need extra information for entry" in the answeringbox at rafflectopter. It's easy to miss, did it myself! I'm leaving you a blog post and also my GFC name...there was no space to enter it on the form (: My GFC should be Pryanka! And this is an excellent giveaway, thank you so much!! Hey my GFC is Nail Polish Anon - no space to enter it on widget. I'm most excited for the eos lip balm cos i've heard so many things about it, plus Revlon Scandalous!!!!!! Im most excited about the EOS and cult nails. Never tried either of those and everything else well Love all of it. Congrats on the followers love your blog and thanks for the chance to win. Most excited about the Toxic Seaweed! What a great giveaway! Congrats on getting 750 followers. Congrats on 750+ followers! So exciting. :) I'm not sure what the toxic seaweed is about, but so many seem pretty excited about it, which makes me both curious and excited too! I'm most excited for Cult Nails' Toxic Seaweed! I only recently learned about their amazing colors but I can't justify the cost on Unemployment so I'm keeping my fingers crossed!! Oh and my GFC and Facebook names are the same, looks like there's an issue with entering my info. I'm most excited about Toxic Seaweed! I'm most excited about the polishes (all, really ^^) and the eos lipbalm! And congrats for reaching 750+ followers! the polishes really excite me!!! congratulation on havin your 750 followers,,, keep it up,,, i really like your blogs!!! I'm most excited about all the nail polishes but especially Cult Nails Toxic Seaweed! I'm most excited about getting the nail polishes! I'm most excited about the EOS products! Is it bad that i say im excited about the EOS lipstuffs? ;) LOL!!!!!!! Im excited about the cult nails polish! Thanks for the awesome giveaway and congrats on reaching 750! I am really excited about the polishes espically cult nails but i think i am equally excited to try a EOS lip balm :) thank you for hosting! Congrats on your followers. Awesome giveaway! toxic seaweed!!! Thank you and Congrats!!! What an amazing giveaway!!! Congrats on 750, that is quite the accomplishment! I am excited for Toxic Seaweed! Oh and the EOS lotion too, I have been wanting to try that for awhile! Thanks for this lovely giveaway! I'm excited the most about EOS Lip Balms! Thanks so much! I love your blog! I'm so excited about Revlon Whimsical! I can't find it anywhere around here. I am stoked! I would love to win this! Toxic Seaweed is on my must have list! Those new WnW's the colors look so springy and beautiful! Congrats on having so many followers! I love the polishes you chose I so wanna try the Cult Nails one the most! Cult Nails Toxic Seaweed of coz! Would love to get Cinderella - I've heard so many good things about it! Also Toxic Seaweed would be awesome, too! I am definitely most excited about Toxic Seaweed! I am super excited about the eos products and Sinfuls Cinderella! I'm most excited about Cult Nails Toxic Seaweed! Toxic Seaweed excites me the mostest though, I have to say. It would be my first Cult Nails polish! I am most excited about the Cult Nails! It is so pretty! Yay such a great giveaway! Im the most excited about CUlt Nails Toxic Seaweed because i dont own any. It would be my first. got my fingers crossed. Everything about this giveaway excites me ;) Thanks!! Super excited about Toxic Seaweed (who wouldn't be??) and the Revlon polishes! Seriously girl -- TOXIC SEAWEED :) Great giveaway! im most excited for the eos lipbalm! Cult nails & EOS balm!!! I'm really excited by the lip balm & polish! I love Whimsical. Cult Nails!!! I have been dying to try them and I love that color! Toxic Seaweed is deff the most exciting! Congrats on so many followers! and a very generous giveaway. Wow!! Super exciting and generous giveaway!! I'd love the eos and the revlon nps and of course cult nail polish! I am most excited about the Sally Hansen nail pen. Yes, I know they have been around for a long time, but I haven't purchased one, for some unknown reason. I'm a polish junkie, so aaaaall of that is what I'm really excited about! I'm most excited about the Revlon polishes!!! I love blues and purples!!! Congrats on so many followers and thanks for an awesome giveaway!!! I cant decide what I love the most. All of those piece are great!!! I thought Bloglovin' was anonymous so I couldn't find it, but I am following! And I'm definitely most excited about the polishes...Revlon polishes and the wet&wild polishes! So gorgeous!! Definitely most excited about the Cult Nails! I am really excited about Toxic Seaweed! i'm most excited about cult nails toxic seaweed! but this is an awesome giveaway! CONGRATS!!! Whimsical I've been wanting it for awhile! Only one? Ahhh...Revlon Scandalous? No..Toxic Seaweed D: Don't make me choose! I love the Eos balms too, lol. I'm terrible. I am excited about Toxic Seaweed. I am dying to try Cult Nails polishes! I think the EOS! I just got my first one and I'm OBSESSED!! This is a different flavor (SUPER HTF at my local store, honestly) from the one I have too! I'm most excited for Toxic Seaweed! I'm most excited about the Cult Nails Toxic Seaweed polish and EOS lip balm. Cult Nails Toxic Seaweed, for sure, because I don't have any Cult Nails polishes yet. these all looks great! thanks ! Most excited about Toxic Seaweed!! I really want Toxic Seaweed but couldn't bring myself to buy it. Thanks for the opportunity! Eos lipbalms and nail polishes!! 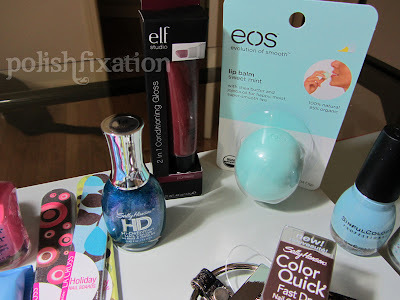 I love the EOS hand lotion and lip balm! Definitely most excited about Toxic Seaweed!!! Thanks for the giveaway! I'm psyched about those newly packaged Wet 'n' Wild Megalasts and Toxic Seaweed, but I think I'm actually *most* excited about the EOS hand lotion! I love their lip balm, but I've never been able to find the lotion. I'm so excited for this giveaway especially for the lip balm. Awesome giveaway! Toxic Seaweed for sure!!! Great giveaway! I'm most excited about Revlon Whimsical, as I have not been able to locate it in stores anywhere! The Toxic Seaweed and the sinful colors..
i'd LOVE to try the hand lotion! I'm excited about the nail polishes. I already have Toxic Seaweed, or I'd say that. I can't find Cinderella anywhere though- so that's what I'm excited about! OH wow! I want Toxic Seaweed so bad! While they're available by me, I'm actually most excited about the new Wet n Wilds. I've been wanting to try them but I don't know why I never have. Thanks for the giveaway! Revlon Whimsical excites me the most right now! I can;t seem to find it anywhere! I'm excited about the revlon nail polish! All the polishes are amazing, but I am most excited about the Revlon ones. Im most excited about the EOS lipbalm. I'm most excited about the nail polishes Revlon Whimsical and the Sinful colors one (can't remember the name :)). Awesome Giveaway!! I'm most excited for Toxic Seaweed, and everything else looks awesome too. Who ever wins is very lucky!! This is a beautiful prizefighter package. I am most excited about sinful nails Cinderella and cult nails toxic seaweed. Thanks. Everything looks amazing! So excited about cult nail toxic seaweed. Cult Nails Toxic Seaweed it has a gorrrgeous color and the EOS lip balms!! I'm excited about the nail polishes, especially Revlon Whimsical. Definitely the Cult Nails! Love the brand! 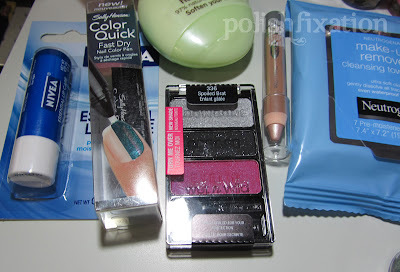 I liked these nail polishes :) This is a great giveaway. espescially the lip balm and nail polishes. I love that colour by Sinful Colors! Perfect name. Thanks for doing such a good giveaway! I would love to try EOS Lip Balm! The eos lipbalm!! I've heard sooo much about it!! The Sally Hansen Colour Quick Fast Dry! I have got the stick on's but not this i really want to try it. Everything looks great, I would love to try those EOS lip balms. VERY excited about the Sinful Colors polish!! Most excited for the Toxic Seaweed!!! I'd love to get Toxic Seaweed! It'd be my 1st Cult Polish! Thanks for the giveaway & congrats on the followers! Congratulations on your 750 followers eventhough you have more than that now woop woop!! but seriously CONGRATULATIONS! I enjoy receiving your blog emails daily, love reading them, so thank you for your hard work. 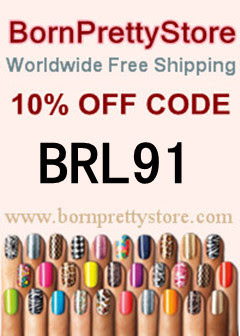 All the products are beautiful so I like them ALL ! !